DURBAN, South Africa – South African Louis Oosthuizen birdied his closing two holes to retain the Volvo Champions title on Sunday after an earlier eagle on the eighth. The 2010 British Open winner shot a 4-under 68 for an overall 12-under 276 and claimed his seventh win on the European Tour. Oosthuizen finished a stroke ahead of fellow South African Branden Grace, who also shot a 68 on the Durban Country Club course. 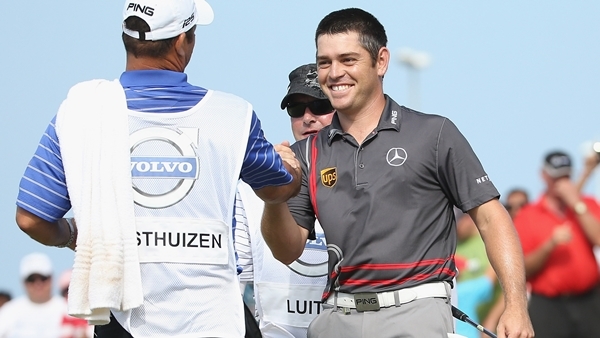 It was Oosthuizen’s first success since winning this elite 36-player event a year ago. After a slow start, with pars on the opening seven holes, Oosthuizen sank a 12-foot eagle putt at the par five No. 8. He drew level with Grace with a birdie at the 17th and then claimed the win by holing a 2-foot birdie putt at the last. “When I eagled the eighth hole I felt I could go on and make a few birdies from there on and, while stopped by a bogey on 10, I just felt really comfortable out there,” Oosthuizen said. Oosthuizen came into the event with a persistent lower back injury. “I’ve still got a few niggles that I need to work on with my back, but it’s been great this week and not causing me much concern,” he said. 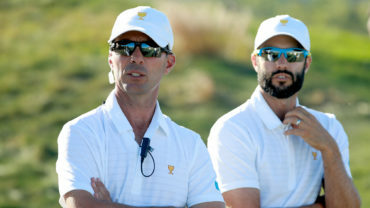 Grace recorded his best finish in more than a year after winning four times in 2012, including starting that year with a Volvo Champions success, but then going without a win in 2013. The 25-year old Grace capped his round with three birdies in succession at the sixth hole and then birdied two of his closing three holes. 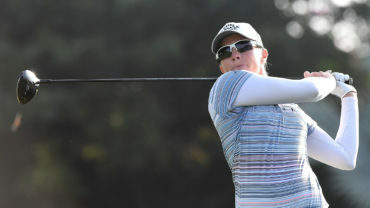 “I thought I played some superb golf today,” Grace said. England’s Tommy Fleetwood (72) and Dutchman Joost Luiten (71) shared third on 10-under. Triple Major winning Padraig Harrington (67) was tied fifth on 9 under, his best effort since fourth in Durban a year ago.